Rediff.com » Business » India's economic boom creates 55 billionaires! It is raining billionaires in India, despite the fact that a major chunk of the country's huge population still grapples with poverty. 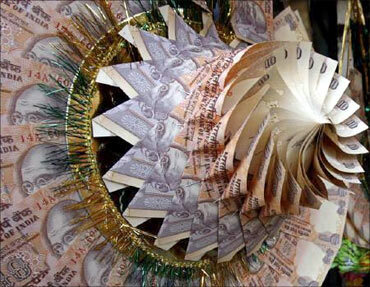 India now has a record number of 55 billionaires, according to the Forbes 2011 world billionaires' list. India stands third after the United States and China in the number of billionaires. The combined wealth of India's 55 richest is $246.5 billion, much higher than last year's total of $222.1 billion. It is also more than the combined GDPs of Pakistan and Sri Lanka! For the first time in the Forbes list, there are more billionaires from the BRIC nations -- Brazil, Russia, India and China -- than from Europe. These nations together accounted for half of the world's 214 new billionaires, from 97 billionaires last year. Eight Indians have dropped out of the list, including Shahid Balwa and Vinod Goenka, co-founders of DB Realty, linked in the 2G spectrum telecom scandal. India has seven billionaires among the top 100 richest people in the world. There are 1,210 billionaires, in the Forbes' list with a combined wealth of $4.5 trillion, up from $3.6 trillion a year ago. Image: More billionaires in India. 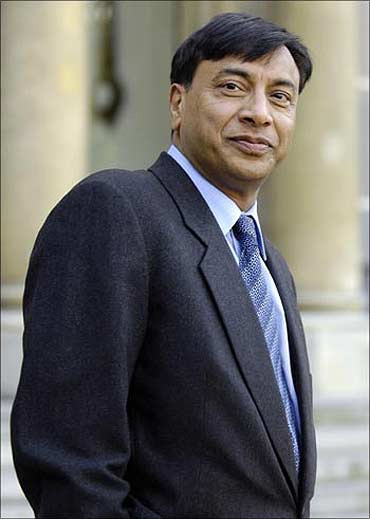 With a wealth of $31.1 billion, ArcelorMittal chairman and CEO, Lakshmi Mittal pipped Mukesh Ambani to become the richest Indian and the 6th richest man in the world. Last year, his total wealth was $28.7 billion. Mittal founded Mittal Steel Company (formerly the LNM Group) in 1976. In 2006, the company merged with Arcelor to become the world's largest steelmaker. Reliance chairman Mukesh Ambani is the second richest Indian with a wealth of $27 billion. Mukesh Ambani's fortune stood at $29 billion last year and he was the 4th richest man in the world. Mukesh Ambani had been the richest Indian for three years from 2007 to 2010. 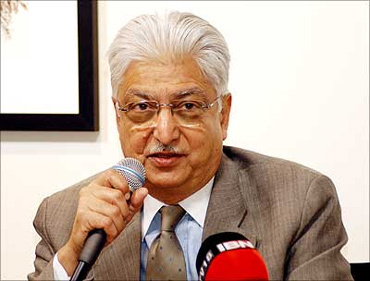 Software czar Azim Premji, with a fortune of $16.8 billion is the third richest Indian. Premji's wealth has slipped from $17 billion. Premji plans to set up a new endowment trust with a Rs 8,846 crore ($2 billion) to fund various educational initiatives. Brothers Shashi & Ravi Ruia, who head the Essar group are the fourth richest businessmen in India. Their net worth has risen from $13 billion last year to $15.8 billion. 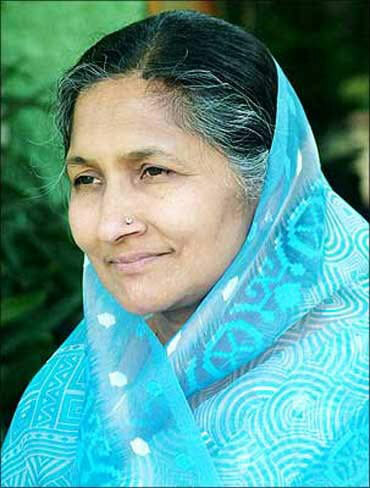 Savitri Jindal is the richest woman in India Inc. The non-executive chair of O P Jindal Group, she took over the steel and power conglomerate founded by her late husband Om Prakash in 1952. Her net worth rose to $13.2 billion from $12.2 billion in 2010. Chairman of the Adani Group, Gautam Adani's net worth has jumped to $10 billion from $4.8 billion last year to become the 6th richest Indian. 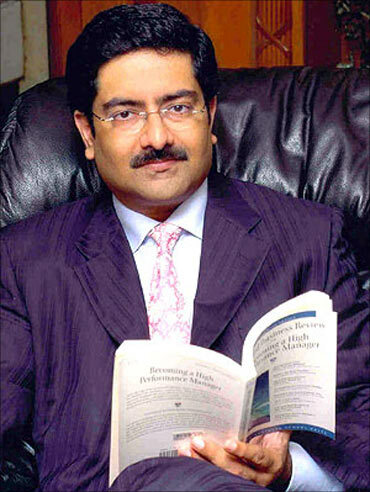 With a net worth of $9.2 billion, chairman of the Aditya Birla Group, Kumar Birla is the 7th richest person in India. His fortune has risen from $7.9 bilion last year. 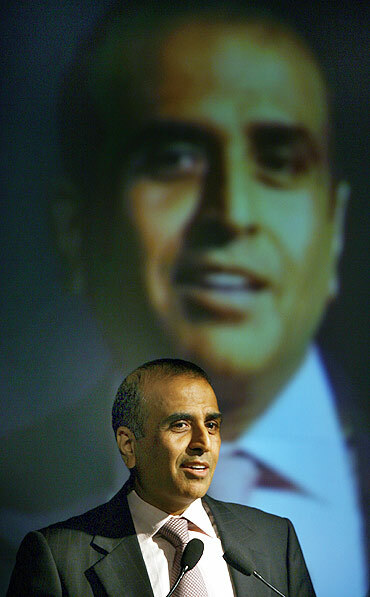 It has been a downfall for the chief of Reliance Anil Dhirubhai Ambani Group, Anil Ambani. He has fallen 4 places in the richest list with a net worth of $8.8 billion. Last year, his fortune was $13.7 billion. With a fortune of $8.3 billion, chairman of Indian telecom giant Bharti Airtel, Sunil Mittal and family maintained their position this year as well. Last year also, they were ranked the ninth richest in the country with a wealth of $7.8 billion. Chairman of the Godrej group, Adi Godrej is the tenth richest Indian with a new worth of $7.3 billion, up from last year's $5.2 bilion. Chairman of DLF, Kushal Pal Singh was pushed out of the top 10 list this year. His net worth fell from $9 billion in 2010 to $7.3 billion. Agarwal is founder-director and executive chairman of the UK-based Vedanta Resources corporation. He is the 12th richest Indian with a fortune of $6.4 billion, and the 154th richest man in the world. Agarwal is also chairman of Sterlite and is a director of BALCO, HZL, and Vedanta Alumina Ltd.
Dilip Shanghvi, chairman of Sun Pharmaceuticals saw a rise in fortune to $6.1 billion from $4.6 billion last year. 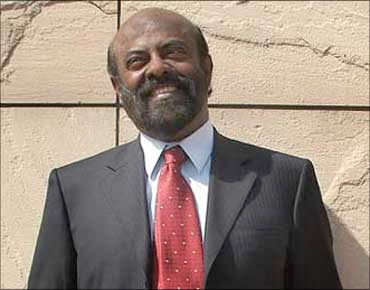 Shiv Nadar, founder of HCL, saw his fortune zoom to $5.6 billion from $4.2 billion last year. He is the 14th wealthiest Indian and the world's 182nd richest man. Former Ranbaxy CEO Malvinder Singh and his brother Shivinder Singh saw a rise in wealth to $4.1 billion from $3.2 billion last year. Media tycoon Kalanithi Maran heads Sun TV, India's biggest regional broadcaster. From $2.9 billion last year, Maran's wealth has risen to $3.5 billion. 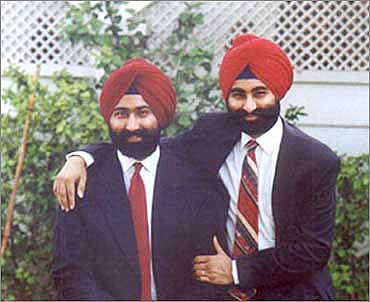 Image: Malvinder Singh (L), Shivinder Singh. 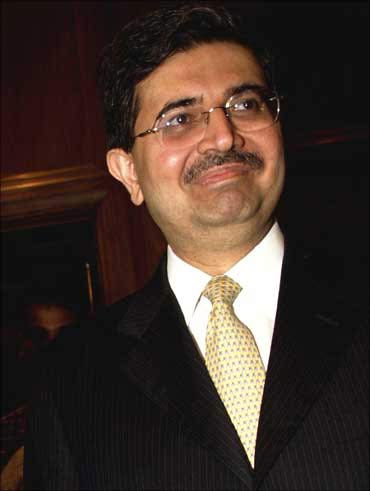 Uday Kotak, founder of the Kotak Mahindra Bank is ranked at 17 among the richest Indians. His fortune stood at $3.2 billion. Micky Jagtiani, CEO of the Landmark Group has a fortune of $3 billion. He has moved 3 places ahead compared to last year in the rich list. Media baron and Chairman of Essel Group, Subhash Chandra,with a fortune of $2.9 billion, has moved one place ahead in the list. Pankaj Patel, chairman and managing director of Cadila Healthcare, the fifth largest pharmaceutical company in India has a net worth of $2.6 billion. Indu Jain is the second richest woman in India. Chairperson of Bennett & Coleman Ltd and a spiritualist, her fortune stands at $2.6 billion, lower than $2.8 billion last year. 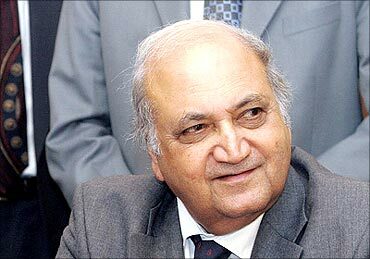 Founder chairman of the GMR Group, G M Rao's wealth has fallen to $2.6 billion from $3.2 billion last year. Cyrus Poonawalla is the founder of Serum Institute of India, fifth biggest vaccinemaker by volume in India. His net worth is $2.3 billion. 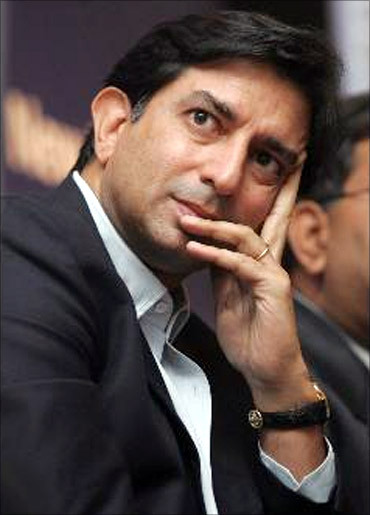 Rajan Raheja started off his innings in the construction business. After establishing himself in the realty market, Rajan Raheja Group diversified into manufacturing, financial services and media. His net worth stands at $2.2 billion. Desh Bandhu Gupta established Lupin in1968. Based in Mumbai, it is one of the world's largest manufacturers of the anti-TB drugs. Gupta's fortune is pegged at $2.1 billion. 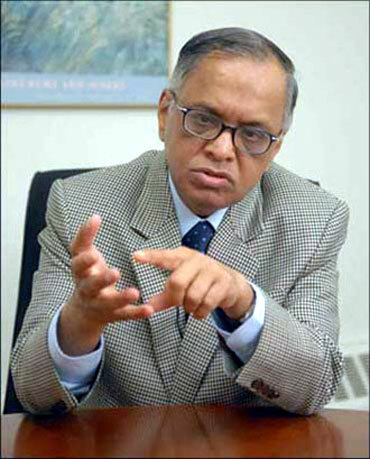 Infosys co-founder and mentor Narayana Murthy is the 26th richest Indian with a net worth of $2 billion. Murthy has established the Catamaran Venture Fund with a total of $130 million dollars to invest in early stage companies. Murthy plans to invest in startups focussing on healthcare, education and nutrition. 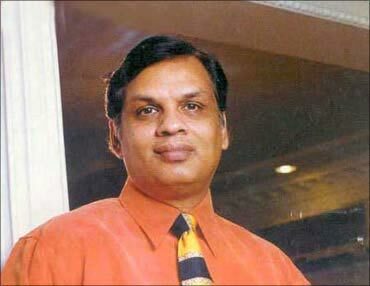 Chairman and the chief executive officer of the Avantha Group, Gautam Thapar's net worth is estimated to be $2 billion. Brothers Sudhir & Samir Mehta run the pharmaceuticals and power company, Torrent group. Their net worth is pegged at $2 billion. Indorama Ventures listed on the Stock Exchange of Thailand in February 2010 was established in 1995 by Aloke Lohia. Lohia's net worth is pegged at $2 billion. Indorama group of companies was established in Indonesia by group patriarch ML Lohia. Today, his sons have established leading companies that are among the world's largest manufacturers of polyester. Venugopal Dhoot is chairman of Videocon Corporation, which makes a wide range of electronic consumer goods. 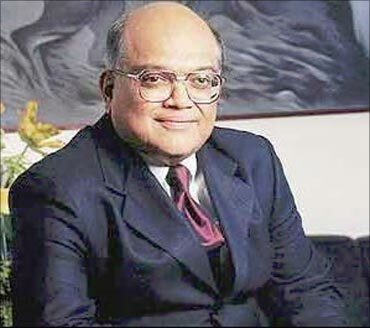 Venugopal Dhoot was instrumental in expanding Videocon Industries into a multi-billion dollar business conglomerate. His net worth stands at $1.9 billion. A low-profile real estate entrepreneur, Chandru Raheja scaled up his small scale property firm into a major real estate group K. Raheja group. Shoppers Stop, Hypercity and In Orbit Malls are a part of the K.Raheja group. His fortune stands at $1.9 billion. Infosys co-founder Nandan Nilekani with a net worth of $1.8 billion is a part of India's richest list. He left Infosys in July 2009 to head the Unique Identification Authority of India (UIDAI). 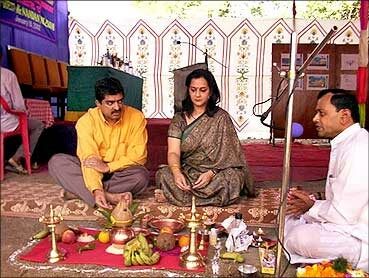 Image: Nandan Nilekani with wife Rohini. Ajay Kalsi is the CEO of Indus Gas Ltd, an oil & gas exploration and development company. His net worth is pegged at $1.7 billion. 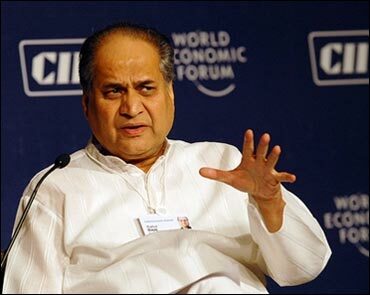 Rahul Bajaj took over the Bajaj Group in 1965. Under his leadership, Bajaj Auto grew to become one of India's top automobile companies. His fortune stands at $1.6 billion. 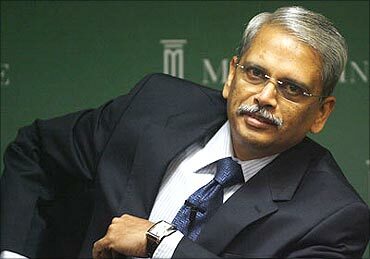 Infosys co-founder and CEO, S Gopalakrishnan is among the richest Indians with a wealth of $1.6 billion. 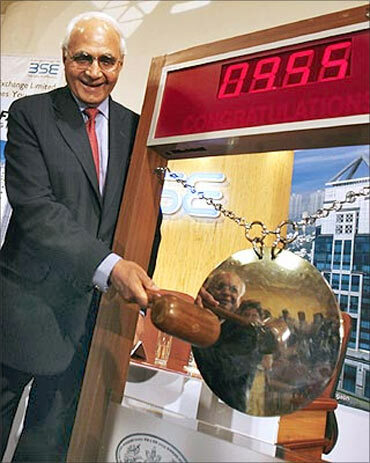 Founder of The Hero Group, Brijmohan Lall Munjal's fortune is pegged at $1.5 billion. a's economic boom creates 55 billionaires! Founder-chairman of Dr Reddy's Labs, K. Anji Reddy's wealth stands at $1.5 billion. 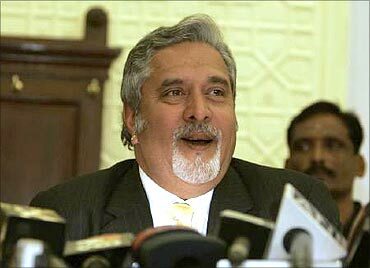 Vijay Mallya, Mallya took over as Chairman of United Breweries Group in 1984 from his father Vittal Mallya. The group has grown into a multi-national conglomerate of over sixty companies. Mallya has a fortune of $1.4 billion. 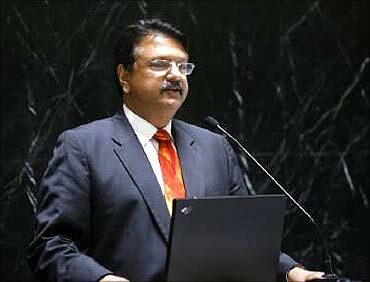 Ajay Piramal is the chairman of Piramal Enterprises Limited. Piramal nows heads the Rs 4,000-crore (Rs 40 billion) group, comprising Nicholas Piramal, the fourth-largest pharmaceutical company in India. His net worth stands at $1.4 billion. Real estate king Vikas Oberoi, heads Oberoi Constructions. His net worth is $1.4 billion. Morgan Stanley bought 10 per cent in Oberoi Constructions for $152 million in 2007. 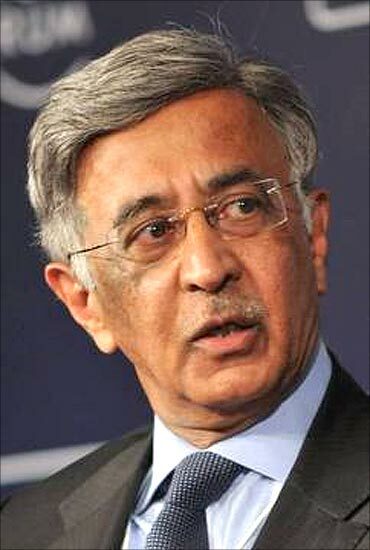 Baba Kalyani is chairman and managing director of Bharat Forge, the world's second-largest forgings manufacturer. His net worth is pegged at $1.3 billion. 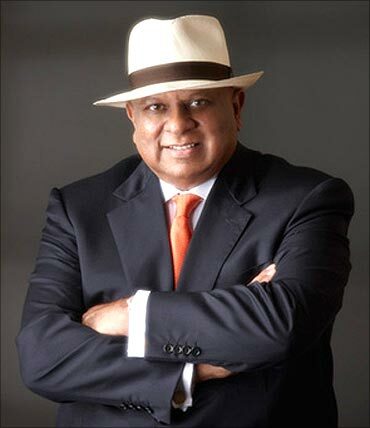 Rama Prasad Goenka is the Chairman Emeritus of the RPG Group, a multi-sector industrial conglomerate. His net worth is $1.3 billion. 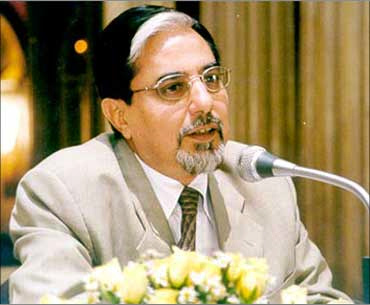 Keshub Mahindra, chairman of Mahindra & Mahindra is also a well-known philanthropist. His fortune is pegged at $1.2 billion. 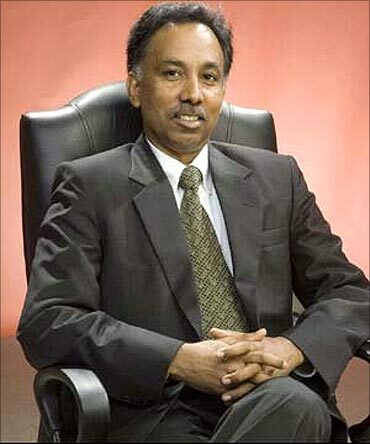 K Dinesh is one of the Infosys co-founders. He is currently the head of Quality, Information Systems and the Communication Design Group at Infosys. Dinesh is also the Chairman of Infosys Australia. His net worth is estimated to be $1.2 billion. 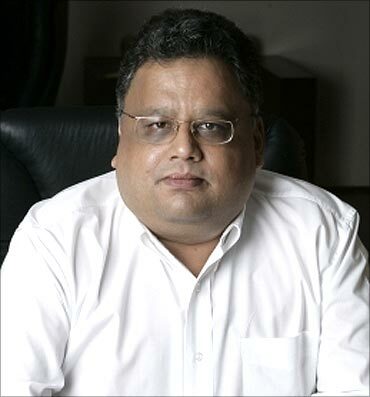 A well known, famous equity investor in India, Jhunjhunwala manages his own portfolio as a partner in his asset management firm, Rare Enterprises. His fortune is estimated to be to the tune of $1.2 billion. Brij Bhushan Singal is the chairman of Bhushan Steel. The company is among the largest steel producers in India. BSL currently exports to Europe, USA, Canada, Africa, China and the Middle East, in addition to the Asian markets. His net worth is pegged at $1.2 billion. Yusuf Khwaja Hamied is chairman of Cipla, a company founded by his father Khwaja Abdul Hamied. His net worth is $1.1 billion. Shibulal, Chief Operating Officer of Infosys, is one of the co-founders and member of the Board of Directors of Infosys Technologies Limited. He has over three decades of IT leadership experience and has played a pivotal role in building Infosys. His net worth is pegged at $1.1 billion. Bhupendra Kumar Modi is the chairman of Spice group. Modi has set up joint ventures in partnership with global companies such as Xerox Ltd, Alcatel Network Systems Ltd, Telstra Corporation, Telekom Malaysia. His net worth is $1.1 billion. 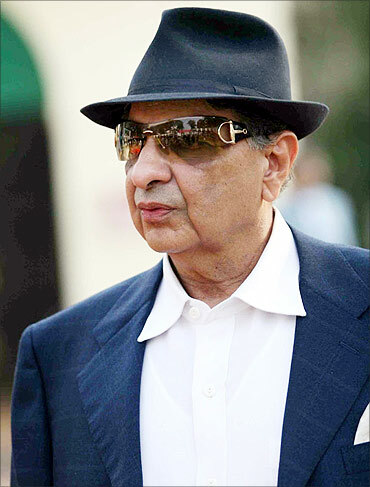 Realty baron Mangal Prabhat Lodha founded Lodha Developers in 1980. The company has scaled up in terms of profit and projects in the last three years. His net worth is estimated to be $1.1 billion. Ramesh Chandra is the founder of the multi-billion dollar realty company Unitech. His net worth is $1 billion. 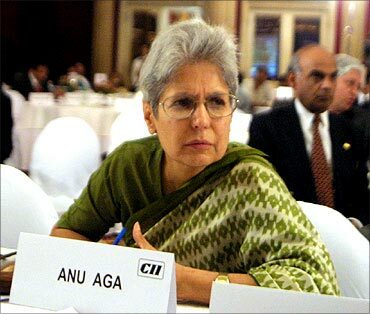 Anu Aga led Thermax Ltd, the Rs 3,246-crore energy and environment engineering major, as its chairperson from 1996-2004. 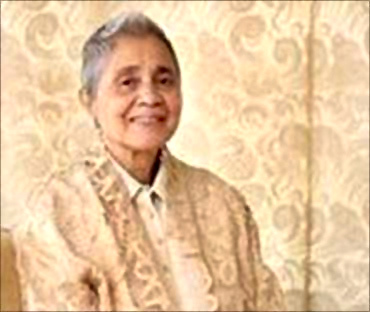 Now, she devotes her time to social work. Her net worth is pegged at $1 billion. Ashwin Dani started his career as a development chemist with BASF, Detroit and joined Asian Paints in 1968 as a senior executive. He is currently the vice-chairman and managing director of Asian Paints. He is also the Vice President of the Federation of Indian Chambers of Commerce and Industry (FICCI). His fortune is $1 billion. Harindarpal Singh Banga serves as Vice Chairman Emeritus of Noble Group Limited. A Master Mariner, Banga has years of experience in the maritime and logistics industry. His net worth is pegged at $1 billion. Founder, promoter and chairman of Kalpataru Group, Mofatraj Munot has over 45 years of experience in the real estate space and property development. His fortune stands at $1 billion. Does Mukesh Ambani plan to start a bank?